I hope you all had a wonderful holiday shared with your friends and families!! Today, I get to be the Guest Designer over at Jaded Blossom! I was SUPER EXCITED when they asked me to do today!! So, for my project today, I wanted to share what Little Bran and I did to our friends for Christmas...We went out and Elfed people! I made a bunch of cookies with my friends, and I used the cookies I made and put them into little baggies from Close To My Heart! For the SUPER CUTE topper, I used the Candy Caddy and just folded it so I could stick both baggies of cookies into it! 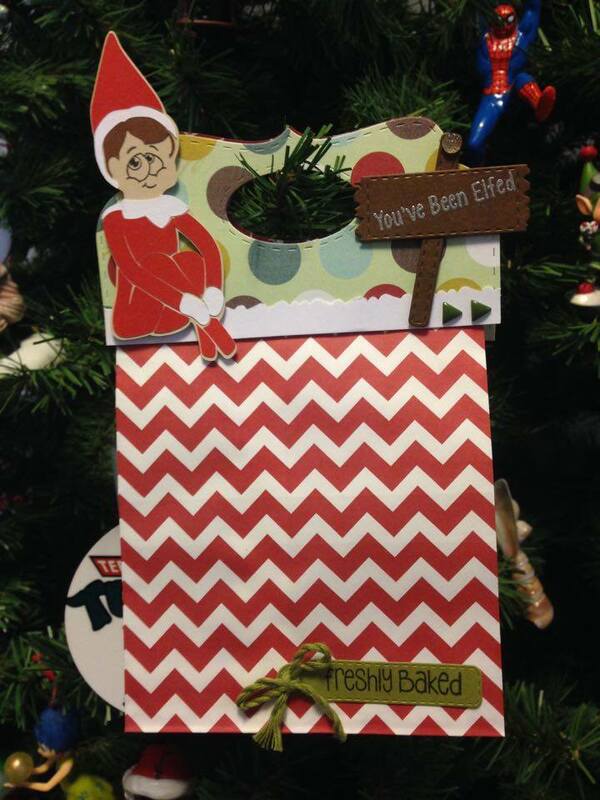 I also used Elf Workshop, Freshly Baked, Fall Dies and Mini Tag Dies to make my project! I also used Fern Twine and Silver Embossing Powder from Close To My Heart!! I hope you enjoyed my project! Thank you so much Candace and Michelle for having me! This is such a great idea! Love how you did the topper and that fun elf! What a fun idea! Love your 'elfed' treat bags. Aaaw, how cute is this?! Your elf is adorable~what a fun topper and cute idea:) Congats on you GD spot at JB! Totally cute & Fun! !Congrats on your GD spot! lmao too cute! and love the PK face you used for the elf! great choice! Jessica that is an awesome way to showcase the candy caddy and what a fun way to share cookies! Wow...cool way to use the candy caddy!! Ha this is so fun!